What kind of person takes a cruise not for a week or a month — but for the rest of his life? What if a vacation didn’t have to end? For “Super” Mario Salcedo, that seemingly far-fetched dream is a reality. 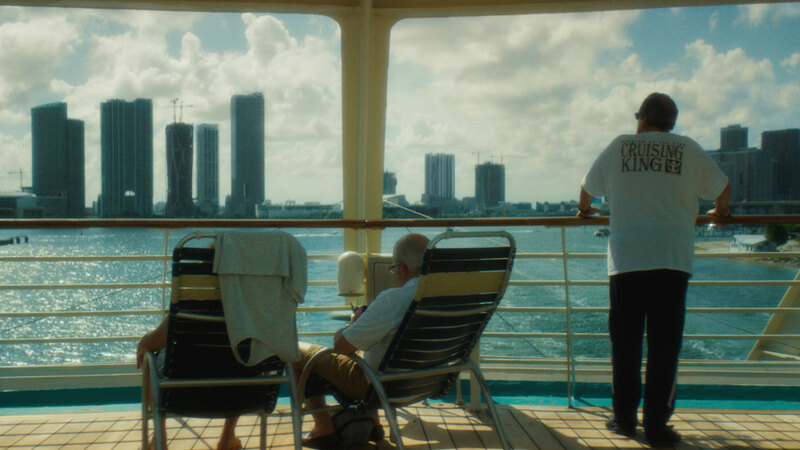 He’s been living on a cruise ship for 19 years and documentarian (and S/W Favorite) Lance Oppenheim is here to tell his story in the latest New York Times Op-Doc, The Happiest Guy in the World. Profile docs are ubiquitous online—especially those about people living unconventional lifestyles. So, when it comes to curating them for this site, we try to focus on ones that are the perfect cross section of an interesting protagonist and impressive craft. Oppenheim manages to find the center of that curatorial Venn diagram here. Mario’s cruise lifestyle is inherently engaging—the kind of headline that draws clicks: “Man lives on a cruise ship for 19 years! YOLO!” But, the hook alone isn’t enough to peak our interest. Oppenheim supplants it with an undercurrent of sadness. After all, when you live in a floating packaged paradise, when does the facade fade away? On first blush, Mario’s existence seems romantic; a 24-hour myriad of sun, entertainment, and all you can eat buffets. But, as the film progresses and we see Mario’s life in all its unglamorous normalcy, it feels mundane…almost prison-like. Scheduled mealtimes. A tiny bunk. Forced interactions with the painted-smile staff. Has Mario beat the system or has he just been swallowed by it? The thing is—for most of us—we wouldn’t want to be on vacation every day. After all, if you’re living in the happiest place on earth, it pretty soon just becomes another place. Oppenheim taps into this sense of melancholy. Even as Mario reflexively proclaims himself to be the the titular “happiest guy the world,” it feels as if he’s using hyperbole to mask the loneliness that gnaws at him. He’s a man surrounding by people, but no true companions.